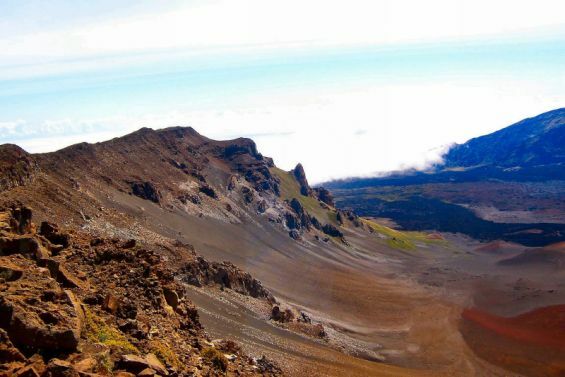 The Haleakala Sunrise Volcano Tour is one of the most popular tours on Maui! 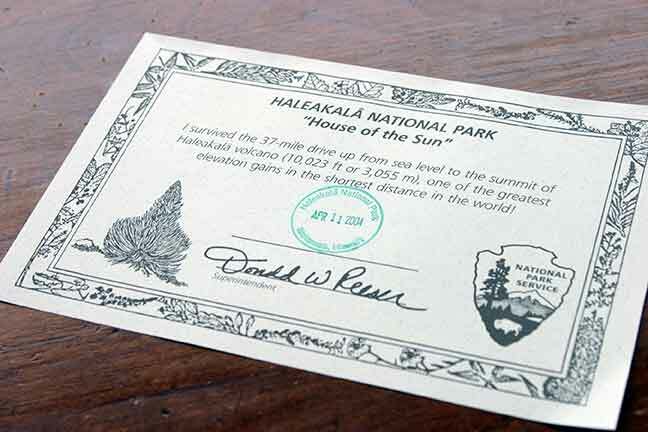 As of Feb. 2017 you need reservations with the national park to go at sunrise. You need to book that months in advance ,but our vans already have the permit so need to worry about that. 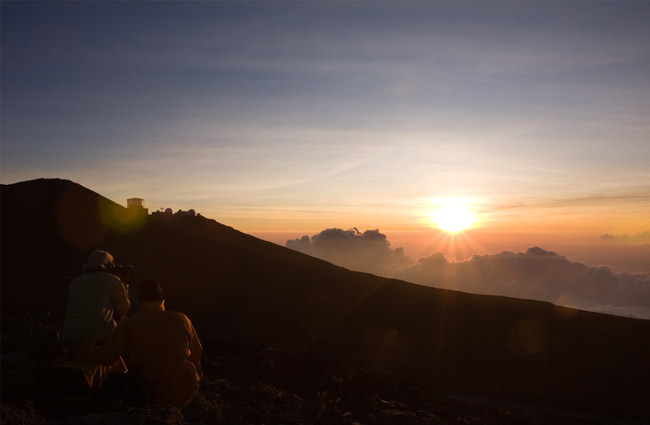 Skyline offers a comfortable and informative way to view the Sunrise at Haleakala. Tour vans have large windows for excellent views of the scenery, as you drive down from this 10,023 ft Volcano! Your friendly tour guide is very informative and knowledgeable. Best of all, you can avoid driving Crater Road, with its winding switch-back curves. 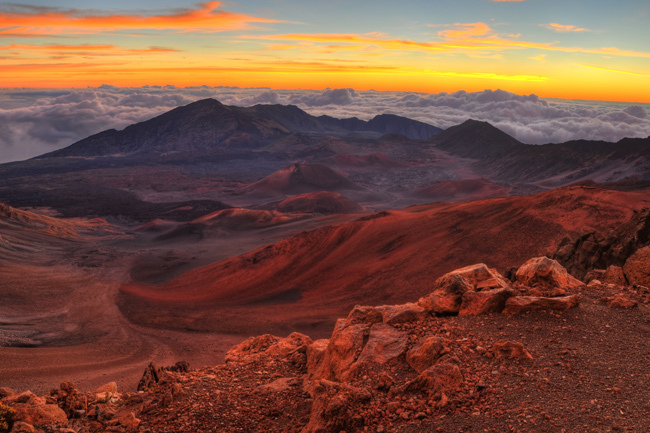 Haleakala in Hawaiian translates to ‘House of the Sun’. Remember to dress warmly as it is cold at the 10,000-foot elevation! 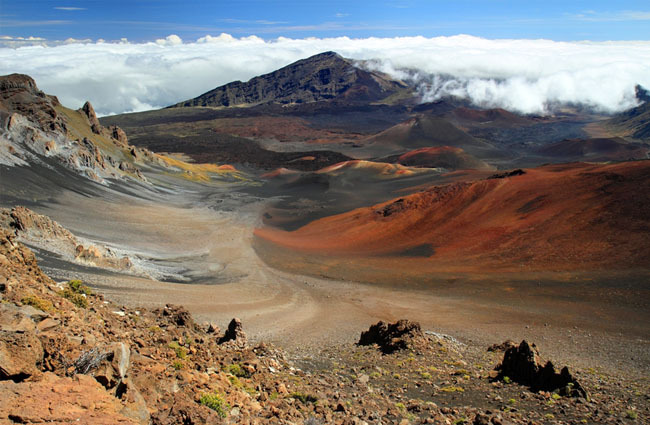 38-mile driving ascent to the 10,023-foot summit of Haleakala, Maui’s dormant volcano! 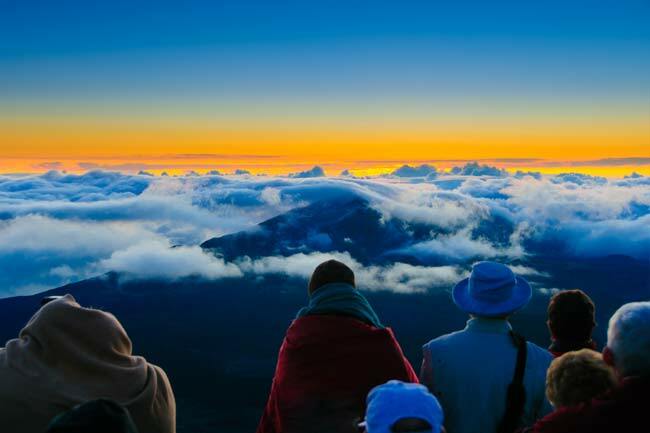 Experience the spirituality (& warmth!) of the sun rising as you stand 10,023 feet above the sea level. One-hour stop at the “House of the Sun” visitor’s center. 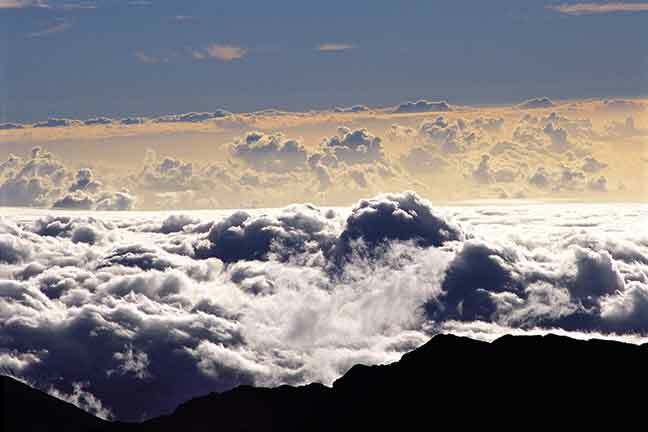 On a clear day, you can see The Big Island of Hawaii from on top of the Volcano! Pass by Sugar Cane Fields, Pineapple Fields, and a large variety of Hawaiian Plants and Flowers. 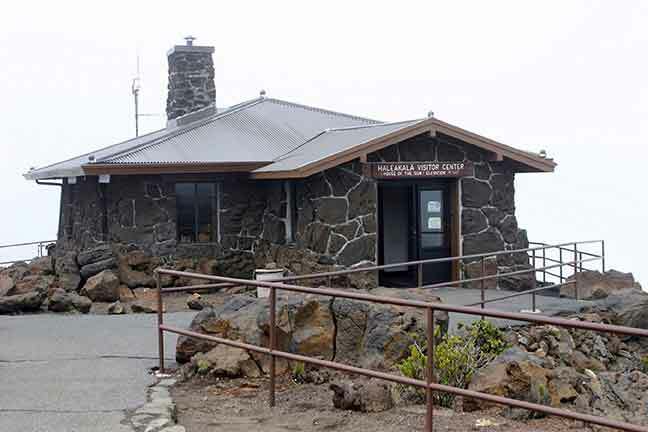 Includes a full breakfast at the Kula Lodge after descending Haleakalā Volcano. 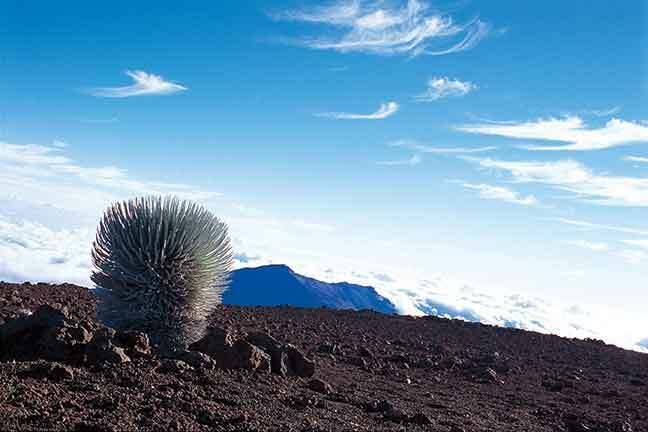 Silversword plant, Grows only on Haleakala Volcano, Maui Hawaii! Beverages include Hot Chocolate, Coffee, and Tea. Beverages include Hot Chocolate coffee and tea. You must be OK with elevation over 10,000 ft!